Yesterday, ASUS North America teased some Jelly Bean goodies on its Facebook page. At the time, we had no idea they would begin pushing a Jelly Bean update less than 12 hour later. But they have. 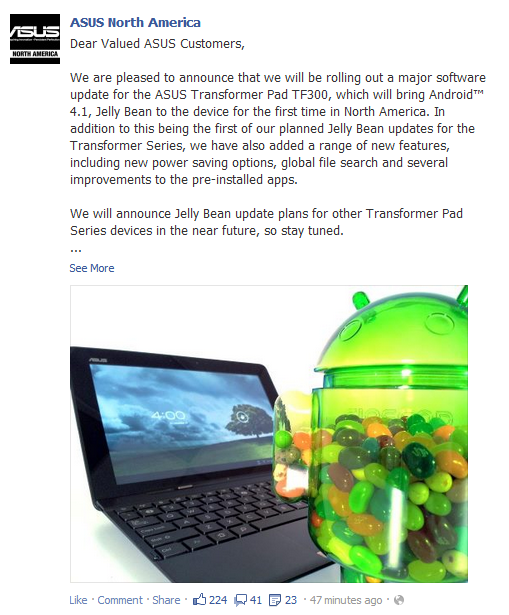 Announced on its Facebook this morning, ASUS has started pushing the Jelly Bean update (Android 4.1.1) to the Transformer Pad 300, making it the first 10" ASUS tablet to receive the update. 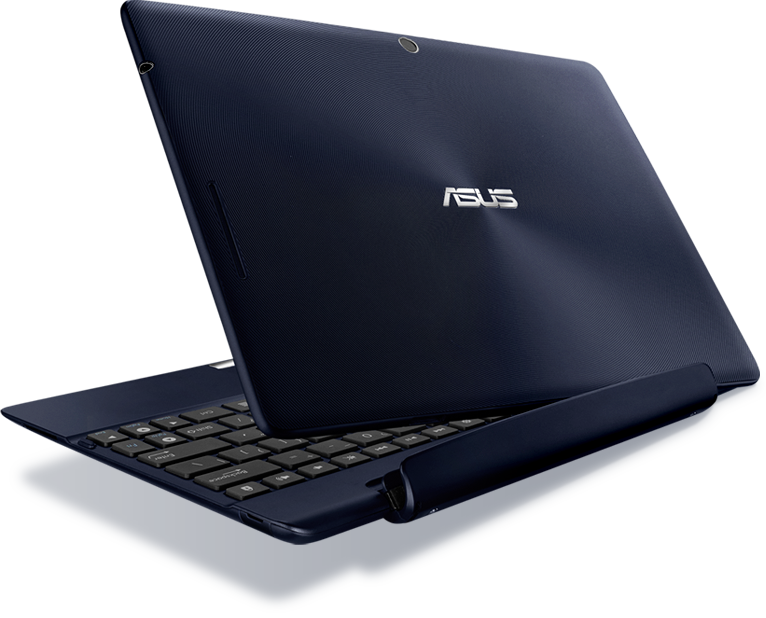 The TF300 getting updated to Jelly Bean isn't much of a shocker, but the fact hat ASUS was able to perform such a quick turnaround and get the update out is nothing short of impressive. With that sort of speed going on behind the scenes, we expect the the TF201 and TF700 updates will be here in no time. Those with stock TF300s should be able to grab the update now by heading into Settings > System Firmware Update > Check Update. Unfortunately, if you've unlocked your device with the ASUS bootloader unlock tool, you're out of luck as far as an official OTA is concerned, as ASUS won't send updates to unlocked devices.